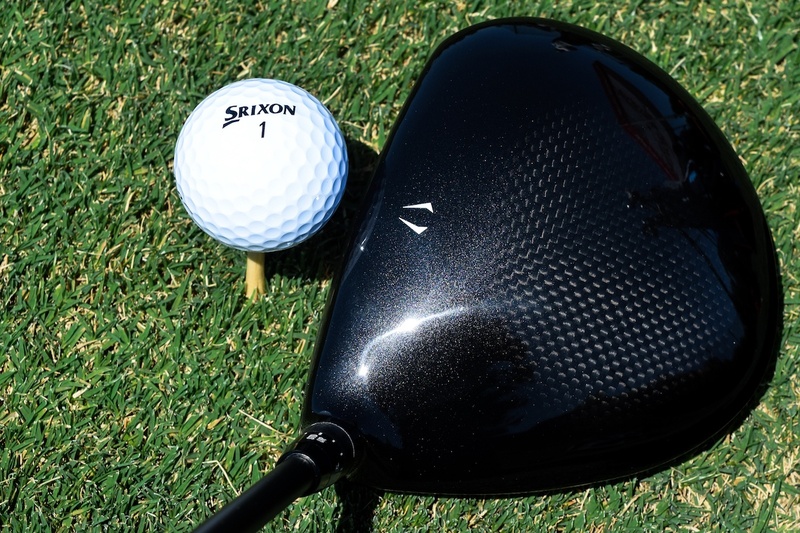 Will the new @SrixonGolf Z 85 drivers earn the company a place among the metal wood elite? Srixon guaranties it. Here’s a truism for you to ponder on this fine Monday: in the game of Metal Wood Musical Chairs, there are only so many seats. And when the music stops, you better have a chair. If you’re TaylorMade, Callaway, PING, Titleist or Cobra, your seats are already saved. You have Tour validation and you can advertise the bejeezus out of anything you sell. Challenger metal wood brands have to catch and claw for their seats. The Wilsons, Mizunos and Srixons of the world have to fight every day to try to grab that last chair and to get your attention. With today’s release of its new Z 85 line of drivers, fairways and hybrids, Srixon is making a compelling case not only for a chair, but a seat at the head table. And they guaranty it. Srixon’s Z 565 driver was, of course, MyGolfSpy’s Most Wanted for 2017, and its better-player focused sidekick, the Z 765, finished fifth overall. Both sold decently at retail, but Srixon is aiming higher this year, and is taking some bold steps to get your attention with its two new models, the Z 585 and Z 785. “With these products, we have something that can stand up to, and even surpass, Callaway and TaylorMade in terms of performance,” says Oakley. While Srixon’s new Z 85 iron lineup is evolutionary, Srixon firmly believes its new drivers are more of a revolutionary upgrade from its predecessors, featuring three key innovations: a new titanium cup face, a carbon fiber crown and the most upscale stock and no-upcharge shaft offerings the industry has seen to date. 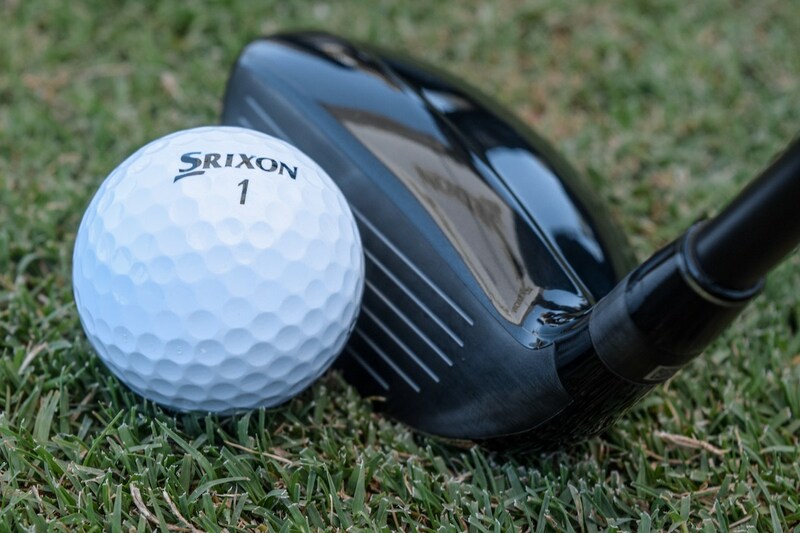 Srixon is literally guaranteeing you’re going to like these new drivers. Yes, that’s foreshadowing, but let’s start by taking a peak under the hood. 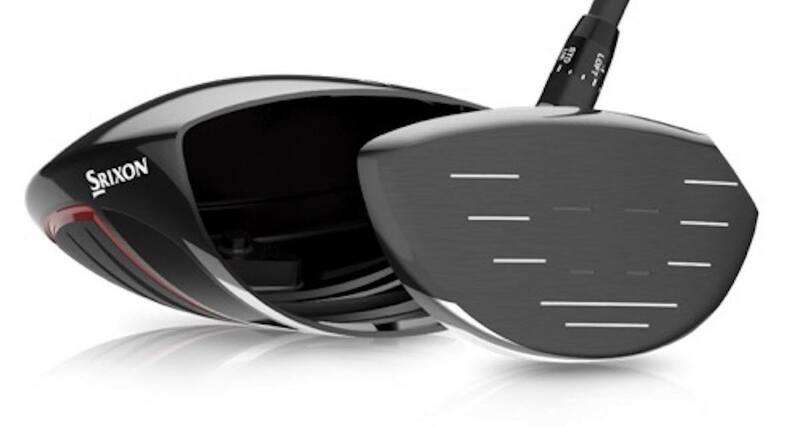 The new Z 585 and 785 drivers both have titanium cup faces. That alone isn’t revolutionary – the Z 65 series drivers had titanium cup faces, and so do other drivers. For this go round, Srixon is using a stronger and lighter titanium, called Ti51AF. What that means is the Z 85 cup faces are 10% thinner than the Z 65’s, and as we’ve all learned in Golf Physics 101 – lighter and thinner means hotter and longer. 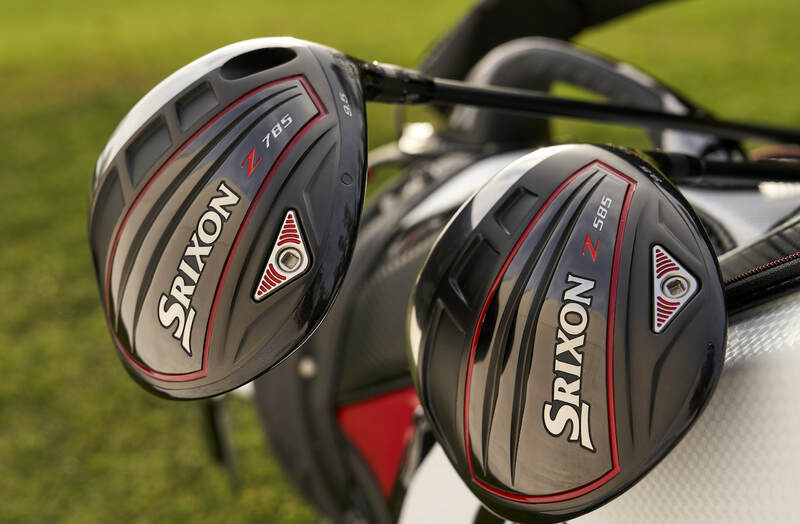 Srixon says the Z 85’s have thinner faces than TaylorMade’s M4, and a thinner perimeter than both M4 and the PING G400. Their own internal testing shows 2 to 3 MPH more ball speed than M3, M4, Rogue and G400. While you’re right to be skeptical of any OEM’s internal testing, we’ll share some data from two MyGolfSpy staffers in a bit that will make you go hmmm…. Ball speed, of course, wins on launch monitors and it makes Tour players pay attention. 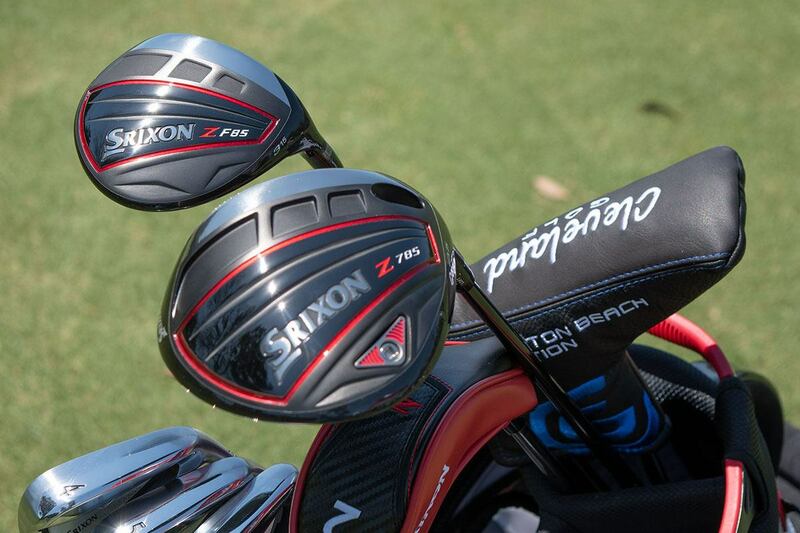 None of Srixon’s Tour staff gamed either of the Z 65 drivers, but the 85’s have most definitely made an impression. Both drivers also feature a new carbon fiber crown. Again, not new to drivers, but it is new to Srixon. Srixon sources its carbon fiber from Mitsubishi chemical and, thanks to its Miyazaki shaft factory in Japan, is one of Mitsubishi’s largest customers. The carbon formula used in the Z 85’s helps not only heel-toe MOI, but also sound and feel. The Z 65 models, while solid performers, could sound a little clinky, which impacts feel. The Z 85’s, however, feature more of a muted sound and feel, as though the ball is staying on the face just a hair longer. Both the Z 785 and Z 585 are 460cc and have similar head shapes. The 785 sets up neutral and delivers a more penetrating ball flight, while the 585 has a slight draw bias and a higher launch. One other key difference: the 785 has an adjustable hosel, while the 585 is non-adjustable. The 585 does have a slightly higher MOI, largely due to the fact it doesn’t have as much weight in the hosel. 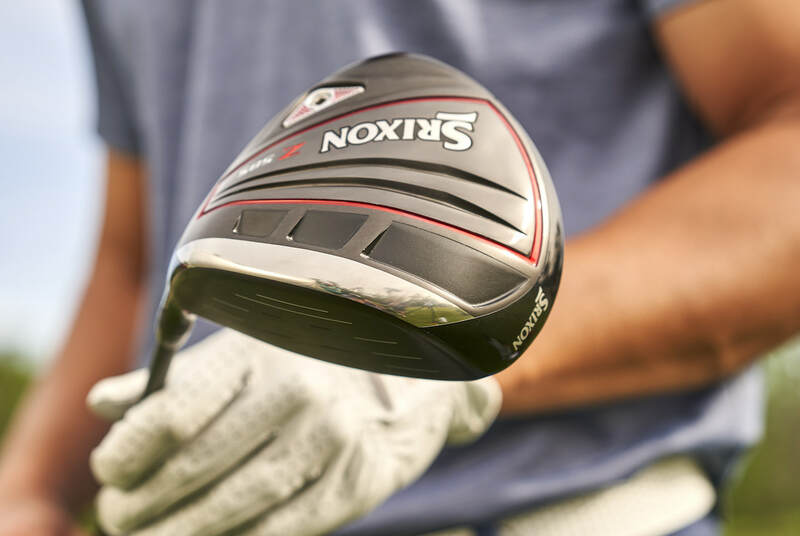 Most every OEM has two driver offerings, and a growing trend has been for one to have maximum adjustability and the other to have little to none. TaylorMade’s M3/M4 and Mizuno’s GT/ST are prime examples. 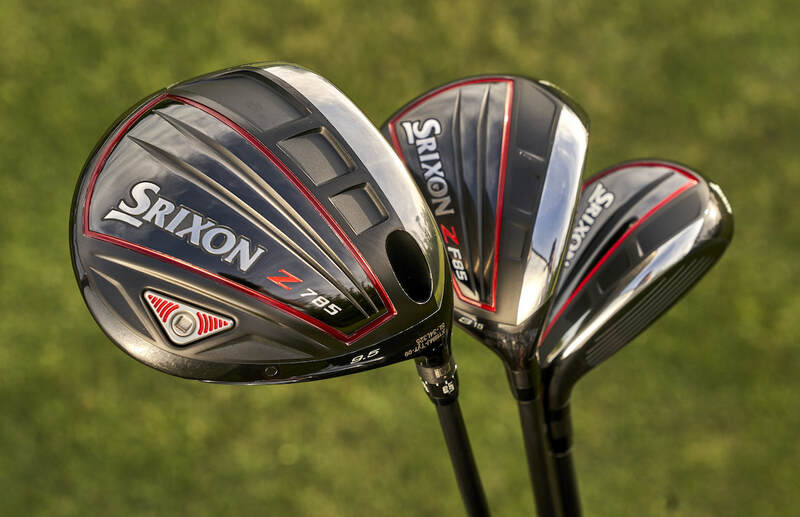 Srixon’s offering is sorta, kinda similar, although the Z 785 is nowhere near as adjustable as the others, and that’s intentional. Remember the MyGolfSpy article on the shady world of stock driver shafts? Well, Srixon is giving made-for and watered-down a good swift kick in the you-know whats. The stock shaft for the Z 785 driver is a real deal, honest to goodness Handcrafted HZRDUS Black. The Z 585 comes standard with the standard HZRDUS Red, but you can get the handcrafted version with the 585 if you want. In fact, Handcrafted Black, Yellow or Red are all available at no upcharge. Srixon is the only OEM offering the HZRDUS Handcrafted as stock. And remember that foreshadowing alert from a few paragraphs ago? 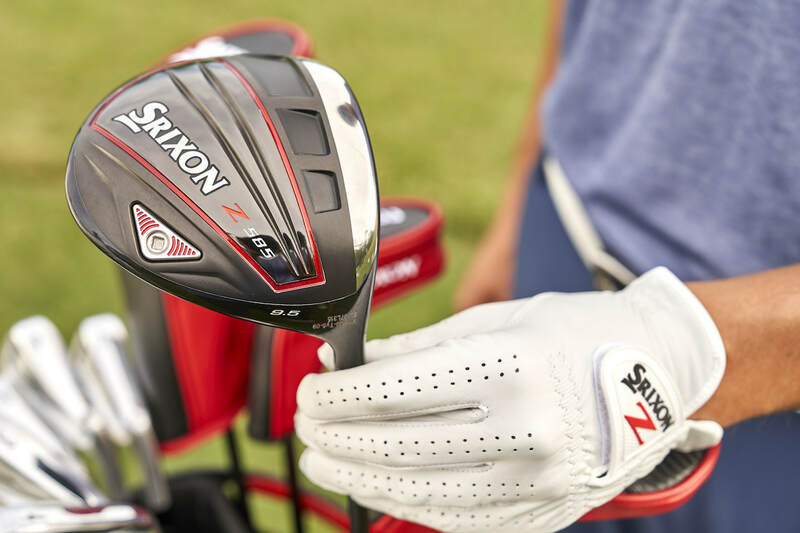 Well, Srixon is so sure you’re going to really dig its new drivers that it’s taking the unprecedented step (for an OEM) of offering you a 60-day money back performance guaranty. So does it perform? MyGolfSpy’s two young guns – Sam Robinson and Harry Nodwell – put the Z 785 up against their gamers earlier this month to see. Both game PING G400’s – Sam the MAX and Harry the LST – both played college golf and both are bombers, with swing speeds in excess of 110 MPH. When Sam tested his gamer, he was averaged 162 MPH ball speed and 290 yards. His first numbers with the Srixon were similar, but a slight loft adjustment got his ball speed up to 167 MPH. Sam’s spin and launch angle didn’t vary much, but he did gain nearly 10 yards of carry, with drives averaging around 303 yards. Harry was a tougher fit. His PING was giving him 173 MPH ball speed and an average of 300 yards. Again, his first swings with the Srixon didn’t show much improvement until he put the same shaft in his Srixon as he had in the PING. His ball speed immediately jumped to 177 MPH with distance ranging from 312 to 318. 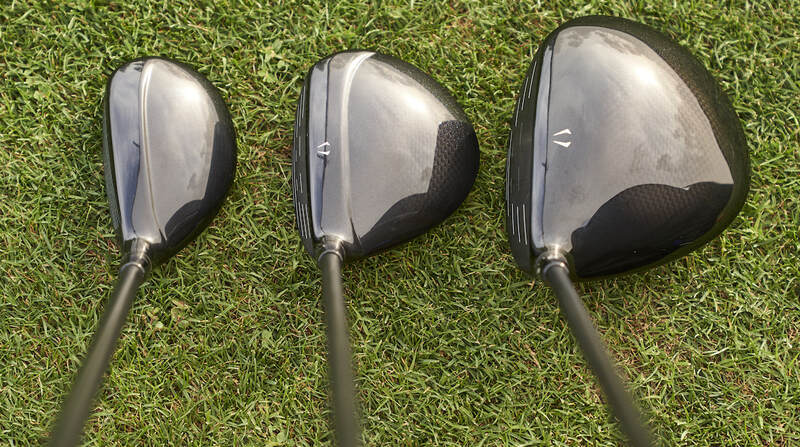 As with any metal woods launch, hybrids and fairways tend to get lost in the driver shuffle. If you’re in the market, however, you will want to put the new Srixons on your demo list. The Z F85 fairways share much of the same DNA as the drivers, with a hot HT 1770 steel cup face and a carbon fiber crown in both the 3 and 3+ for more ball speed. There’s also an interesting twist to the cup face. Literally. That sure does sound like Twist Face, does it not? The hybrids may wind up being the secret weapon in the Srixon arsenal. 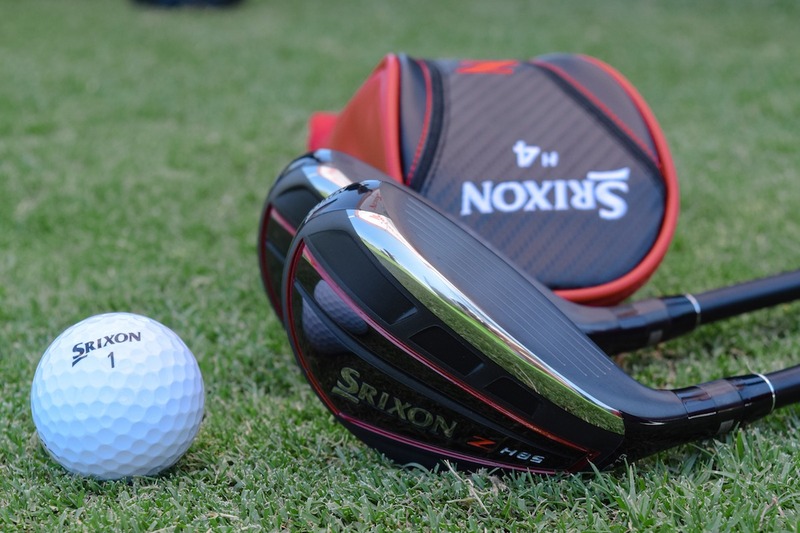 They H85 models are noticeably larger than the H65 models, as Srixon hopes to fit a wider group of golfer with a an easier to hit, easier to launch hybrid that’s not a hook-machine. Hotter than Rogue? Without Jailbreak? What kind of voodoo is this? The Srixon Z 785 will retail for $499 and will be available in 9.5 and 10.5 degree models. The 785 features a fully adjustable hosel and, as stated earlier, the Project X HZRDUS Black 65 Handcrafted shaft is stock. 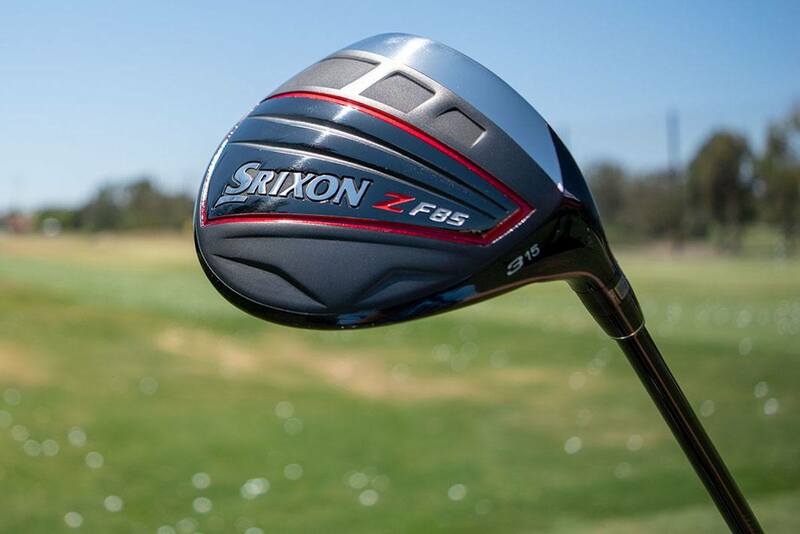 The Z 585 driver retails for $399 in 9.5 and 10.5 degree lofts. It’s nonadjustable and comes with the HZRDUS Red 65 shaft as stock. The full complement of HZRDUS Handcrafted shafts are available as no upcharge options. The Even Flow Handcrafted Blue 65, Mitsubishi Tensei CK Pro Blue and Orange, Fujikura Atmos Tour Spec Black and the UST Mamiya Helium 4 are among the shafts available for a $100 upcharge. The F 85 fairways will retail for $249 and come with the HZRDUS Red 65 stock. They’ll be available in 3+, 3 and 5. The H 85 Hybrids will come stock with the HZRDUS Hybrid Black 85 and will be available in three lofts: 16-, 19- and 22-degrees. Presale starts today on Srixon’s website and at selected retailers. The products will be in stores September 14th. Nice win for Srixon woods, er Taylormade again. Keegan still rocking the Taylormade as per usual. I am currently a Ping owner-G 30 driver—been using Srixon balls forever per Fuzzy Zoeller. Our group plays his course often. Would consider changing if demos were available at home course. Seneca Golf Club, where Kevin Greenwell has been teaching pro for years—coached many youngsters who have gone on to college as fierce competitors. Probably the largest number of rounds in Kentucky. Any chance we can get a similar test of the 565 for us who don’t rip it 300 yards? I’m currently hitting a 10 year old driver about 230-250 yards. And would love to know if upgrading to this could see significant improvement. Personally, If it is available in Malaysia for testing I would like to volunteer. I have two drivers, 1) Callaway Collection and 2) XX10. Both are giving an average of 210 to 220 m with estimated swing speed of 95 mph. Like to measured it since it is said to be lighter. Srixon has been making sweet gear for a few years now and these look great. Why is it that pretty much all manufacturers use titanium cup faces for their drivers but steel cup faces for fairways and hybrids? More than likely the steel faces are because you are taking the ball off the turf with the possibility of connecting with stones, twigs and other objects but with the drivers you are hitting it off a tee – would be interesting to find out why from the guys that make them though. We asked exactly that question at the launch event Brandon. It’s purely down to cost. Cup face’s are expensive to tool up and create, especially if Srixon use the same material that’s in the driver face. Doesn’t Cobra offer one in their F8+ driver as a no up charge shaft? I guess I don’t know what the difference is between the “True aftermarket ‘Tour’ shafts” and “Handcrafted” shafts besides the price. Do not lose any sleep over it. The stock shaft is a good shaft and will be just fine. Just get fit for the correct length, weight, and flex (in that order, too) and then practice. Unless of course you want to have a good shaft with a nicer paint job and higher price tag – then you need to get the “true aftermarket” or “non watered down” version, LOL. Shiels has a review out already and this driver performs as good or better than his average of many drivers tested. Seems like a winner to me. 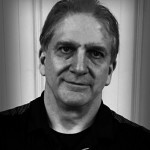 Great article, John! I am interested to see if these guys start capturing more market share. To be honest, in my corner of Idaho, I have never seen any srixon products in play – other than golf balls. I would like to give these a swing at some point, however! Hmmm. Not looking for a new driver but now very intrigued by the 585 / HZRDUS Red combo. Was fitted earlier this year – using a 565 head – for a HZRDUS Yellow, which I ended up not liking … and had thought that the Red might actually have been better for me (but the fitter didn’t have it). Looks very nice, but that alignment mark is super ugly and annoying. I wonder how hard it would be to remove it? My thoughts exactly. Anyone tried taking acetone to that yet? This is all fine, but at the end of the day aren’t the COR maxed out. The R&A and the USGA have set the COR limit at 0.83, so unless Im missing something I don’t understand why manufacturers constantly talk about ball speed, springy face etc. You can do what you want, but aren’t allowed to surpass the COR max. Shouldn’t they advancement be more in the realm of maximising this over the ENTIRE face as much as possible since this is the biggest problem ( loss of COR) on mishits. I bought a Callaway EPIC with the Jailbreak technology and it works. I find that shots outside of the sweetspt are less punishing with less drop off. You are dead on in your thinking. Sadly the manufacturers can’t market a new driver by saying “this driver goes as far as our last model, and the previous model, and….” so they get creative with their deception. Yes they make improvements on off center contact, and that should be what they talk about because it’s real. 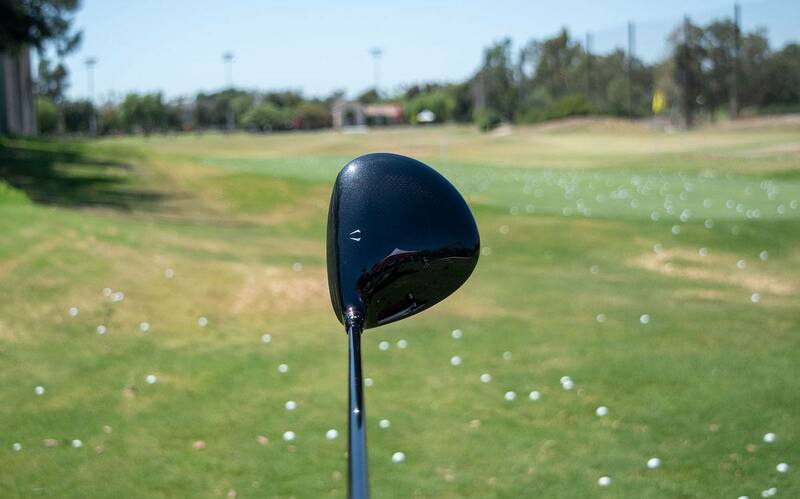 To be honest (and test results have proven this)….the biggest advancement in drivers over the last 10 – 20 years is the weight placement in the heads to maximize launch and minimize spin. Ball speeds have surely increased as well, but I watch driver comparison videos by Rick Shiels on YouTube, and older drivers had lower launch and much more spin than today’s high-tech drivers which launch high and sail through the air like a knuckleball. We can talk about COR all we want, but it’s the “high launch / low spin” revolution that’s added the most yards to everyone’s drives! They don’t measure COR anymore. The new measurement is called CT (characteristic of time). It is an easier more portable test to conduct on site for your events. Most of the current drivers would fail a COR test but they don’t test for .830 anymore. Also when you see these marketing claims they are talking about average ball speed not max ball speed. A 10 year old driver hit dead flush will keep up with new stuff no problem. As soon as you miss hit it by say a half inch especially going towards the toe the old driver will fall behind. 10 drives with each and the old driver has 1 right with the new driver but also has the 6 out of the bottom 7. Nice article! It’s sparked my interest in trying these… Now just stop butchering the words guarantee and guarantees… Thank you! You guys lose me with this kind of rubbish. There are standards that have been in place for over 15 years that LIMIT how hot a driver can be. How is it that they get hotter and hotter? Don’t tell me it’s across the whole face. I’m confident Keegan, GMac, and McGirt have strike patterns that don’t go outside of the center of the face – so how are they magically gaining ball speed by picking up a Srixon and putting down their TM sauce? TM must not know how to maximize ball speeds on the center of the face. That’s it. Rubbish? Well, I’m sure it sounds like rubbish, but there are theoretical limits and then there are manufacturing limits. Srixon told us the 565/765 faces were thicker than the new faces due to the material used (Ti 6-4) and the fact their QA/QC people were VERY concerned about faces breaking. They could have gone thinner, but chose not to in deference to quality…others had chosen to go thinner, but some have had breakage issues. As a result, they suffered a bit on ball speed compared to their competitors. New material allows them to go thinner and get closer to theoretical max. Is it closer to that max than TaylorMade or Callaway? Maybe, maybe not. Every OEM has their own ways of getting closer to the theoretical limits, with varying degrees of success – maybe one day they’ll all get there. Are faces “hotter” today than 15 years ago? 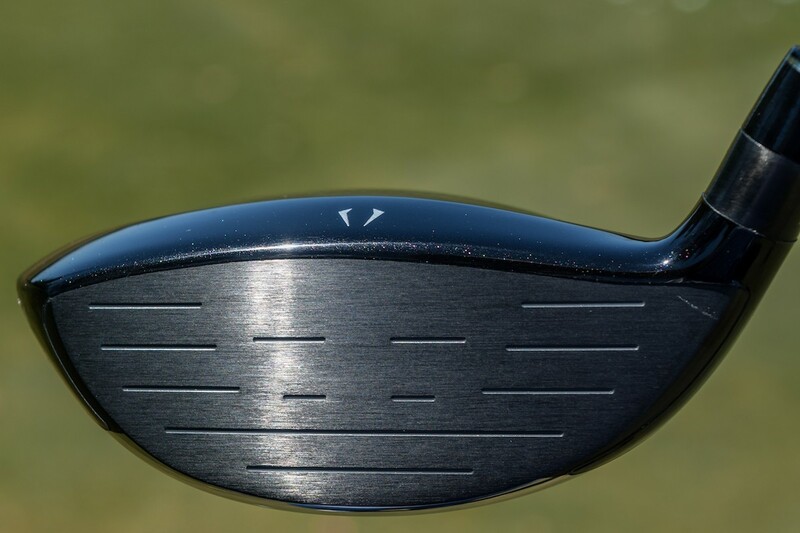 Whether it’s across the entire face or just the sweet spot, I’m fairly certain the answer to that would be yes – primarily due to material and manufacturing advances. Are we talking about a few yards on sweet spot hits? At most. For the rest of us, that all over the face stuff is what’s more important. So yes, rubbish sounds harsh – but it really is rubbish. If Srixon were claiming that this new thinner material is allowing them to make the face as hot as allowable while also allowing them to relocate some of the weight savings to increase stability/MOI – I could totally buy that. It’s honest. Tangible to you and me? Probably not, but completely accurate. I totally could be wrong about Srixon’s capabilities to design drivers. Perhaps they are 5 years behind a defunct Adams…and the rest of the industry. I just sorta doubt that and think that their tour pros play what they want because their contract allows them to. I think we’ll have to agree to disagree. I’m generally not one to bow at the altar of TaylorMade & Calloway, or WRX for that matter. Or Srixon, in case you’re wondering. I’ll give them credit for being upfront about the 565/765 drivers and why their tour staff did not embrace them – it was a ball speed issue and tour pros love them some ball speed. They now have at least 5 of their more prominent staffers using the new models – we’ll see if it lasts, but that’s the fact of the matter at this point. One thing Brian pointed out that I thought was interesting: their QA/QC procedures both here and at the Japanese plant in Kobe follow the relatively conservative philosophy set forth by Sumitomo Rubber Industries – they were able to go thinner with the 565/765 faces but chose not to due to breakage. Now, I’m sure you’ll agree that both Callaway and TaylorMade have had their share of face issues over the past couple of years – not that it’s been crippling to their business, it certainly hasn’t, but Srixon chose a different path. What they came up with was a very good driver for folks like us – but one that their tour pros eschewed. When it comes to manufacturers claims in general, I’ll err on the side of caution – even if it does come from Callaway or TaylorMade or Srixon, or even WRX. It’s all about improving off-center COR through design and materials. Then achieving the targets for both center and off-center require tightening tolerances through improvements of manufacturing processes and QC. No product on the market has max COR on the entire face or even close to it, and every product has some variation in production. John – Actually none of their prominent staffers are using the driver in tournaments that matter. Hideki still rocking the Callaway, JB and Keegan are still playing the Taylormade in the Dell Championship in Boston. Not sure what McDowell is using as he doesn’t have any recent tournaments on Getty Images. Lowry was using the TM a couple weeks ago at Wyndham. This ISN’T because Srixon isn’t making a good product. Though it seems they now freely admit in the past that they favored rigidity over ball speed (which is a little strange to be honest) and their woods weren’t up to the leading manufacturers. This IS because Srixon doesn’t require them to use their drivers. You sign with Callaway, Taylormade, Ping, or Titleist you’re pretty much locking yourself into their driver. You sign with Mizuno, Srixon, Bridgestone – they’re happy to have you play their irons (and ball for Srixon and Bridgestone) but as long as you throw on their headcovers, they’re really not concerned with your driver. Maybe Srixon is ‘hoping’ that will change, but as long as their staff is free to do whatever they want, they’re going to do whatever they want. Congrats to JB Holmes and Srixon on the win at Riviera today…. And Callaway with the driver, lol. Wonder what Srixon will tell you this fall when they come out with a new driver that their staff is just loving the higher ball speeds. Like seriously. These look good but remind me of the Nike VR-S driver from a few years ago. Exactly what I was going to say. The new Titleist drivers look like the old supertri as well. I would think the design aspect would be a top priority for originality. Great review, John! I was intrigued about the previous Srixon’s, but now I’ll definitely be trying these for sure! The 785 lineup has me drooling. My G400 LST might be getting replaced. These look sweeeeeeeeeet!!! Looks like my SLDR 430 might have a fight on now. What shaft was Harry using? THere I was getting all hot and bothered to try these out, but low and behold–no high launch model. I’ve got a 12* Cranked up 2* with the adjustment, and a new Mitsubishi CK Red for even higher launch. I game Srixon Irons, and would love to game their woods. Sad to say 10.5*, in the non-adjustable model, I play the M2 not the M1, juist isn’t going to cut it. I love my Srixons, and hope some day to game their woods. I guess that day just won’t be today. P.S.–Good article. This same point was made on our Forum this morning, and it’s a good one. It’s important to note that’s the branding line between Srixon and Cleveland. The Launcher HB driver is non-adjustable, and available up to 12*. It’s a high launch driver with a high launch shaft. The benefit of two brands can also be a drawback, but my guess is they felt the line of differentiation had to be drawn somewhere. The free upgrade to hzdrs evenflow max high spin high launch shaft may do it. The article did mention some free upgrades for the line of Hazardous shafts, but the Even Flow which you mentioned was listed as having a $100 upgrade price. It is still a great feature, considering so many OEM’s use those “made exclusively for” types of shafts rather than the “real deal” shafts. Just one of the reasons they guarantee the performance, I suppose. You want to become the richest of the cemetery ? What shaft does the 2nd player use in his Ping driver? While I appreciate the review using MGS staffers that hit the ball 300 yards doesn’t do much to convince the average golfer who hits the ball 200 to 240. I’ll bet it you have the 90-95mph guys hit these drivers the improvements will be in the realm of the data “noise”. Srixon’s own data is based on 95 to 105 MPH swings, which show 2 to 3 MPH ball speed increases. As always, one must consider the source. I’m a 240-250 hitter which, at my age, I’ll take. Two things I’ve noticed thus far, with only a handful of rounds with the Z 785 – I’m finding the fairway a little more consistently, and best drives are a bit longer – both verified via ShotScope. Gamer is/was the Mizuno JPX 900, which is a beast. Not sure if that helps, but at least it’s a little perspective. I will try them out if I can find them in store. If not, I just might take them up on that guarantee offer. That’s a ballsy marketing ploy me thinks! They sound very good, and to put the money back guarantee out there, that is a first that I know of. Srixon must be confident or I’m sure the accounting guys would have stopped that in the tracks! Looking forward to trying them all. Great write JB! I am really liking the new offerings from Srixon. I definitely want to try out their woods and hybrids when they come out. It would have been a better test had a sub 100mph golfer been included in the test.Dispersion wasn’t mentioned, 10yds more into the woods isn’t any improvement. Fair point — as a person sitting there watching the two of them, dispersion wasn’t a problem for either golfer with either driver. With my own 98 MPH swing speed, I did see modest gains compared to my gamer, the JPX 900. In a handful of rounds played over the past few weeks, I am finding myself in the fairway more often, which is nice. Distance is hard to judge, but ShotScope data indicates best drives are a few yards longer, which makes the average is a little longer. Personally, I like being in the fairway better. Great article john. Which model have you been playing with? Or have you been hitting both?